When surfer Brett Archibald fell overboard in the Mentawais he thought he was going to die. 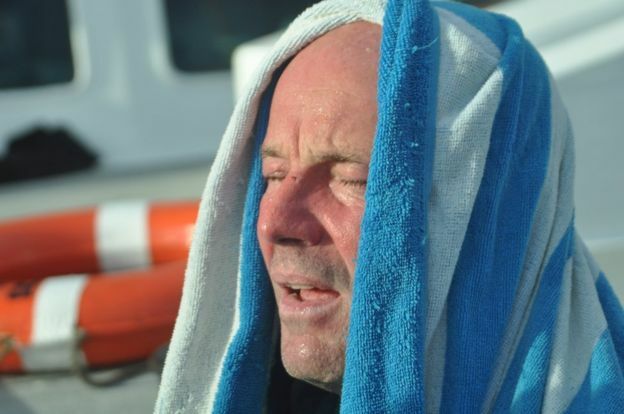 For more than 28 hours he was barely staying afloat, over 50 miles from the nearest land, in horrific conditions whilst being set upon by sharks, gulls and lethal Portuguese men-of-war. We spoke exclusively to Brett about his experience in Indo, how it changed his life and why, by his rules, you should always eat local. Brett had fallen overboard in the Indian Ocean, in storm conditions at 2am in the morning, but much worse than that – nobody had noticed and neither would they until the boat docked some ten hours later. “I knew it wasn’t a shipping channel and the only boats that go there were supply boats and surf charter boats and they weren’t going to be out in that storm so my first thought was – this is where I die”. Brett was on a surfing holiday with nine friends, but had fallen ill from food poisoning during a hellish crossing of the Mentawai Strait. As the boat sailed off into the distance Brett heard a crazy hysterical laughter around him. For the next 28 hours Brett was alone in the ocean with nothing but his mind to keep him alive. With waves crashing down around him Brett used his strength from swimming and surfing to keep himself afloat. Brett, from Cape Town South Africa, calculated that his friends would notice he was missing when it docked and turn around to look for him, he worked out he would need to stay afloat for around 14 hours. Little did he know that he would be lost at sea for nearly double that time. During that next 28 hours Brett became determined not to succumb to the elements. At one stage he started to hallucinate as he was completely exhausted, but a series of events gave him the power, and the fight, to stay alive. 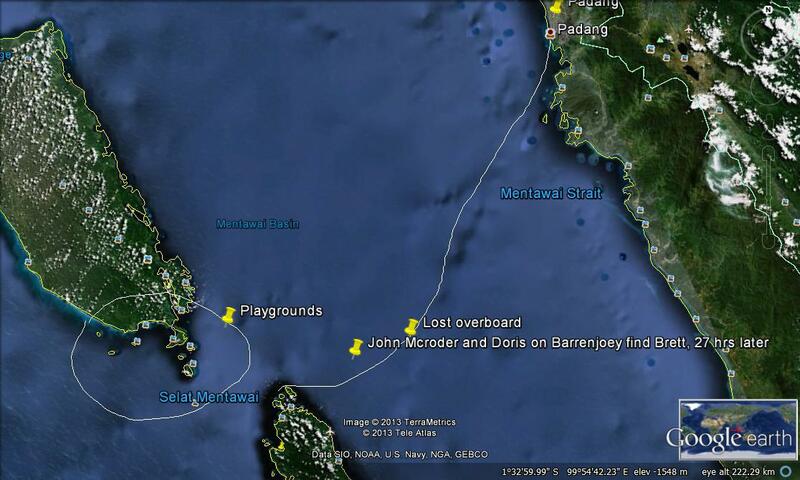 It was however a further 13 hours before he was found, around 30 miles from where he had originally fallen overboard the previous day. His friends had quickly realised that Brett was missing when he failed to turn up for breakfast once they had arrived at their destination port. They then contacted the Indonesian coastguard. 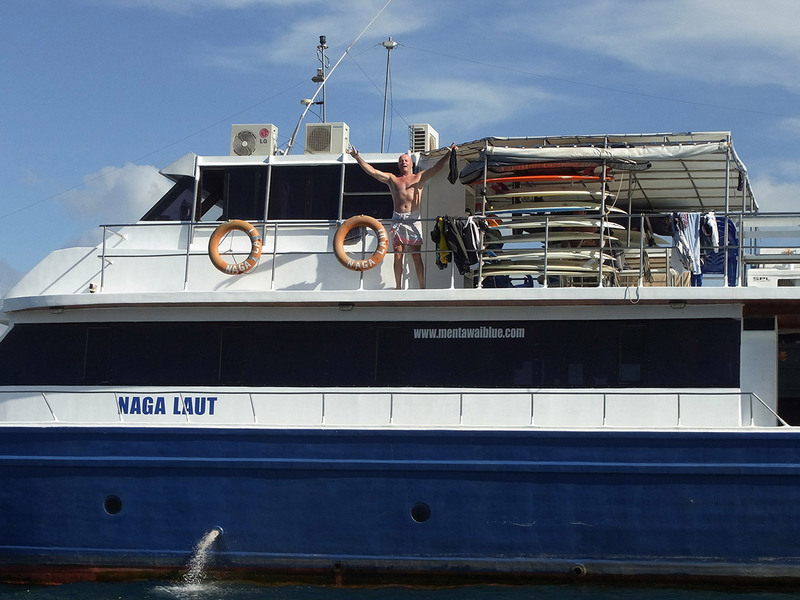 Brett’s boat, the Naga Laut, then set sail immediately to look for him. 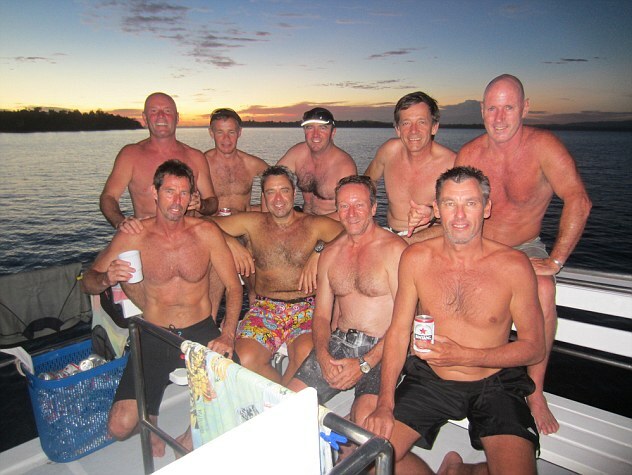 Meanwhile a local captain, Tony Eltherington skippering the Barrenjoey, owned by a Sydney couple living in the Mentawai’s, rustled up his nine passengers on a surf charter set sail to look for him. Tony co-ordinated another Australian boat to also help in the search. At around 6.30am local time the Barrenjoey spotted him floating in the water, amazingly Brett was still alive. Shaking, shivering and in complete agony Brett was saved. His feet, hands and lips were nearly bloodless and he had lost nearly 6kg in weight in the water. A Facebook page Searching For Brett Archibald published a communication by South Africa’s National Sea Rescue Institute which announced the incredible message that Brett had been found alive and well. “Family and friends of Brett Archibald are overjoyed by news that Brett has been found alive and well, although sunburnt and dehydrated”. Brett told Wavelength that the experience had changed his life completely. Brett has just published a book about his ordeal which is available from Amazon and all good bookshops.